There are hand-held mowers which are quite small and are convenient for mowing small areas and there are bigger ride on mowers that could cover larger areas. You have to get a mower that is right for the size of your lawn. Do not cut back on the budget by getting a smaller machine if you have a big lawn, otherwise you would be spending more than time to finish that same lawn compare to a bigger one. You would definitely waste the time that could be spent on other tasks. The quality being implied here is not the quality of the lawn mower per se but the quality of the cut grass. There are just some lawn mowers that offer a fine finish instead of rough looking ones. The cylinder type of lawn mowers demonstrates nicely done grass cuts. Lawn mowers are not used exclusively for trimming down grass and weeds. While that is their main purpose, some offer additional features such as a mulch recycler. Basically, when you use your lawn mower the, the cut grass is just thrown out aside for you to clean up afterwards. These cutting can still be recycled as mulch for your plants. Having to collect them after mowing and prepare them as mulch is a tedious task. Having a mulch recycler saves you from all that effort. This additional feature catches the grass cut and crushes them into smaller bits that and are scattered back into your lawn as mulch. Lawn mowers are not exactly the light. Some types require you to push it as it does all that mowing. It can be tiring of course. 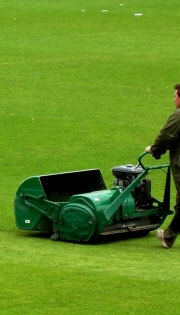 There are mowers that are self-proelling so this saves you more energy while doing the task. Some mowers are powered by electricity and have power cords attached to them. Some are operated by petrol so there are no power cords. If you have a lawn to mow, finding a plug to connect your electric mower can be a problem unless you can find a really long extension wire but then you have to be careful in avoiding tripping with the wire. For optimum performance you have to make sure that everything about your lawn mower is at its best condition. Blades are the most important parts that you have to keep in tiptop shape. There are blades that you have to take to a service centre for sharpening. However, with rotor blades, you can save up on the fee since you can sharpen it by yourself. There are a lot more things to consider when getting a lawn mower. There are a lot of product review on different brands of lawn mowers and their features over the internet that can help you decide which lawn mower would best your lawn’s needs.